Notes: Hazlewood Castle is a country residence, now a hotel, situated in North Yorkshire, England by the A1 and A64 between Aberford and Tadcaster. The site overlooked the battlefield for the Battle of Towton in 1461, and during the persecution of Catholics through the reign of Henry VIII provided refuge for Catholic priests. Under the 6th Baronet the house was substantially modernised. On the death of the unmarried 7th Baronet in 1826 the baronetcy was extinguished and the estate passed to Edward Stourton, a relative. In 1828 he took the name Vavasour and was made the 1st Baronet Vavasour of the second creation. In 1908 the Vavasour family sold Hazlewood and bought a vineyard in Awatere, New Zealand. After 1908 the site changed hands many times over the following years. It was first owned by a solicitor named Simpson, whose family occupied it until 1953, although it also served as a maternity hospital during the Second World War (and afterwards until 1953). For a few years it then belonged to the Fawcett family until it was sold in 1958 to Donald Hart, who sold it on as a retreat for the Carmelite Friars from 1971 until 1996. 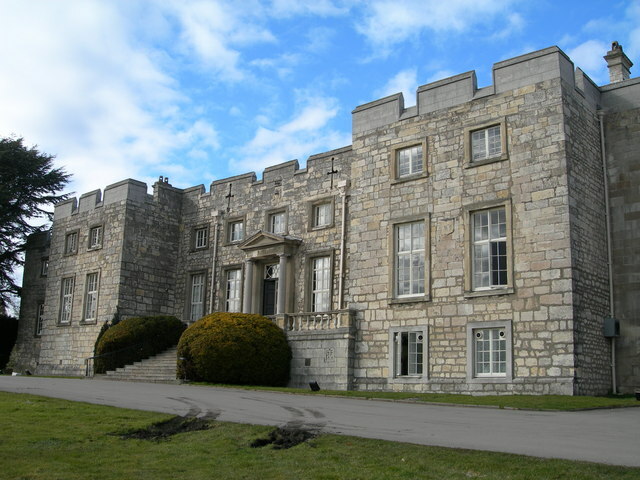 In 1997, after restoration, the house reopened as Hazlewood Castle Hotel under the mamagement of Lewis Hanson.